As Days are passing technology is getting higher and higher and people are confused what to buy. Any latest device, gadget bought today will become old within a couple of months, What to do? We can't keep on buying new things every now and then. Nowadays Games, Softwares take a lot of memory for operation and our old devices can't run them smoothly because of hardware issues. Today I'll tell you 'How to use your USB Drive as RAM'. This will let you run programs better than before and also improve computer speed. 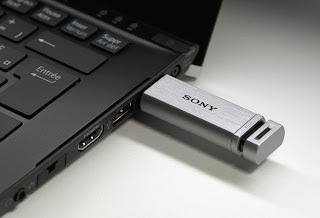 Here is a Step by Step guide to transform your USB Drive to RAM. This will improve operation of programs on your desktops / laptops. Step 1: Plug your USB Drive into your PC / Laptop. It will be recognized automatically. 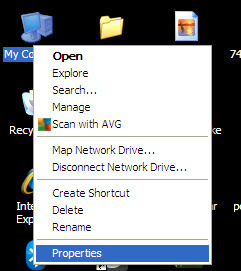 Step 2: Right click on My Computer > Properties. 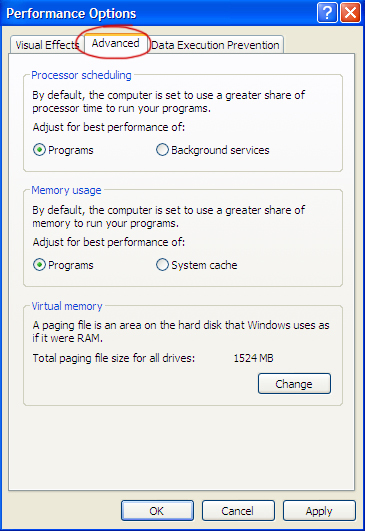 Step 4: In Performance section, Click on Settings > Advanced tab. Step 6: Select your USB Drive. 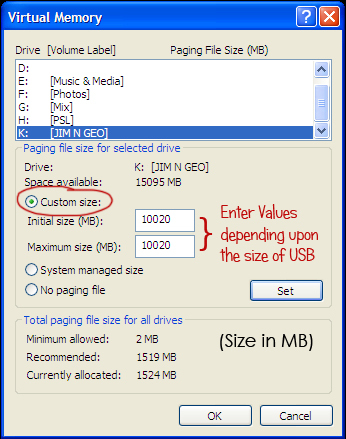 Step 7: Click on Custom Size and enter the size (in MB) you want the USB RAM to be (example: 2000 MB = 2 GB). Step 8: Click on Set > Ok and Restart your computer. After Restarting your computer you'll see noticeable improvement in speed. Please leave your comments below if you need help.